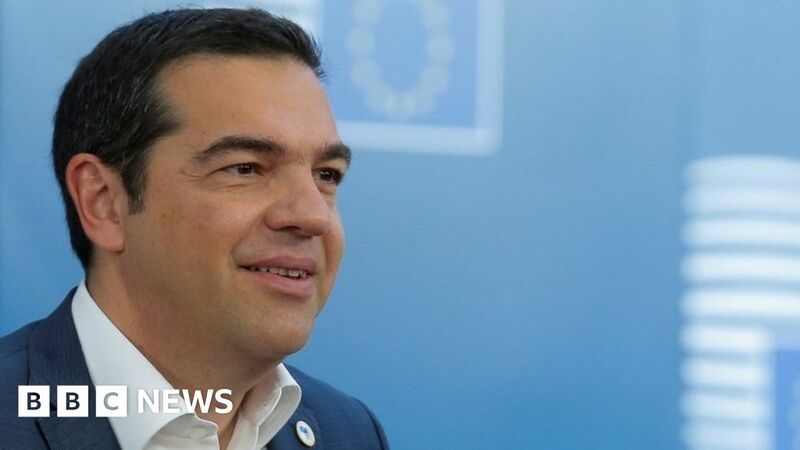 Greek Prime Minister Alexis Tsipras said his helicopter was forced into "low manoeuvres" on Monday after Turkish jets violated Greek airspace over the Aegean, BBC news reported. Accusing Turkey of "foolish actions that have no meaning," the Greek prime minister said, "the Greek military intercepted the forces that violated the national airspace." Tsipras made the statements in the small eastern Aegean island of Agathonisi, located close to Turkey, where he delivered a speech marking Independence Day, which celebrates Greece's uprising against the Turkish Ottoman Empire in 1821. "I had the honour of welcoming you here in Agathonisi and some fighter aircrafts of the Turkish air force, perhaps for the day, wanted to participate in the celebration," the prime minister jokingly said. "What do they think they are doing?" Territorial disputes in the Aegean are among the ongoing sources of tensions, which have heightened over the past few years, between Ankara and Athens. Turkey has denied the Greek prime minister’s claim, pro-government Islamist Yeni Akit newspaper reported on Monday. Athens frequently voices complaints about Turkish fighter jets violating its airspace.